Thanks to all my clients for your thoughtful comments and continued support. Bathroom and kitchen painting cabinets. We had our powder room cabinets painted 2 years ago and they still look new! 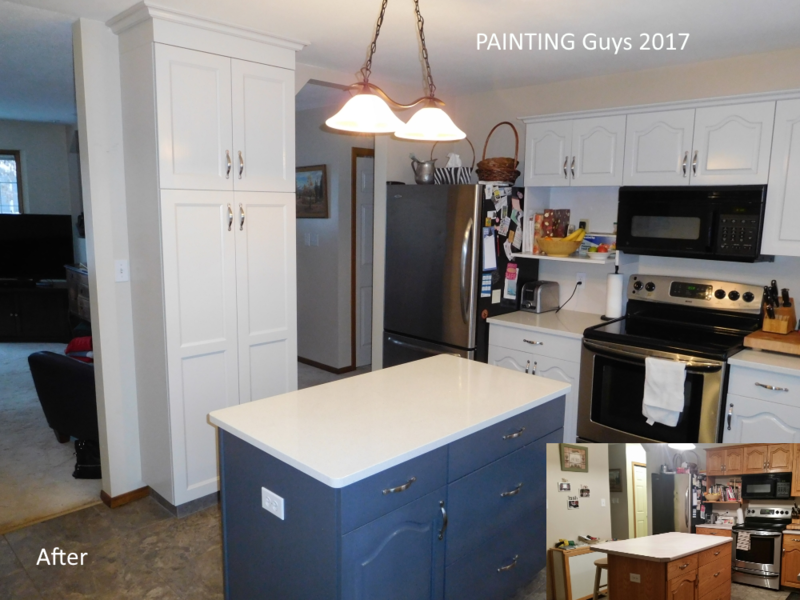 So, we decided to have our kitchen cabinets painted and the transformation is remarkable! Everything was completed in a timely manner and Chris is a stand up professional! I will definitely keep using him for our future projects and I highly recommend him. We are highly satisfied with Chris Bialuski’s workmanship, work ethic, deportment, attitude, reliability, carefulness, punctuality... well, everything! The white cupboard doors you see drying on the rack in the photo are ours. Chris painted the cupboard door and drawer facings in his shop and the trim and non-removable components on site in our house. It is wonderful to find a painter with the skills and facilities to finish cupboard facings off-site where they can be properly sanded and finished! There is not a brush stroke anywhere in the finished cupboards or in the painting completed onsite in our home. He finished all of the work on time. And, he is a nice person! We will be calling him again and we will recommend him to others. 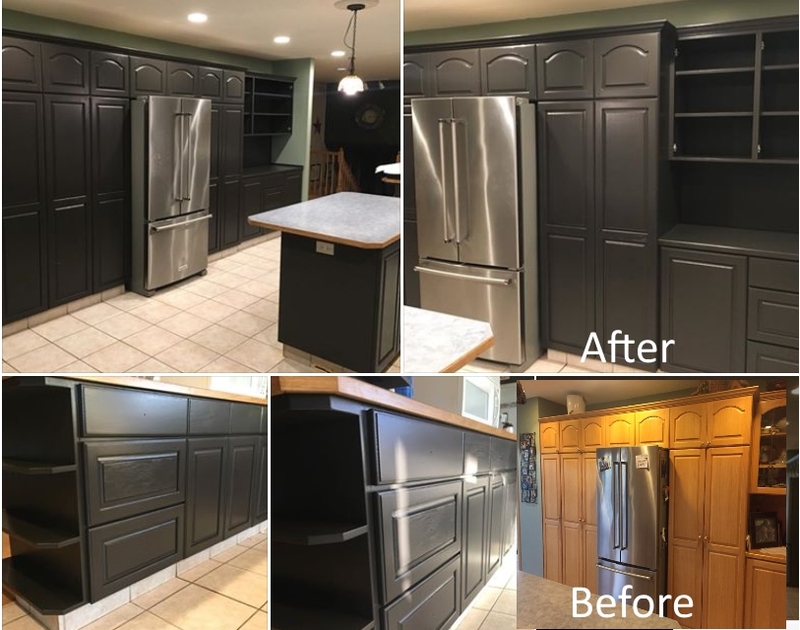 My wife and I purchased a new home this summer that was sixteen years old.the kitchen cabinets where in great shape but the color was dated.We had heard about Chris from a friend and decided to refinish the cabinets instead of replacing them.Chris did such a fantastic job on the kitchen cabinets you would think they where new .I would recommend Chris to anyone that's looking for quality work at a fraction of the price of replacement.Chris was great to deal with and we could not have been any happier with his work. I recently had some walls and baseboards painted for a newly purchased home that needed updating. 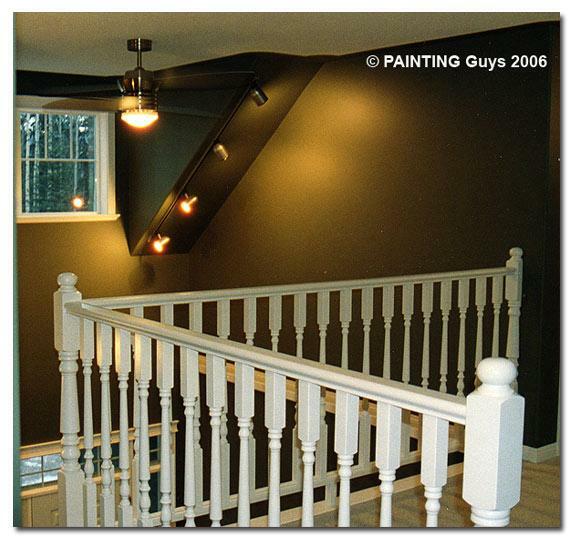 After looking at a few options on-line, and reading past reviews, I decided to call PAINTING Guys and give them a try. I am very pleased with the service and commitment from PAINTING Guys. Chris stands by his work 100%, and his craftsmanship is amazing! He is an expert artist, knowledgeable, and meticulous in his trade. I highly recommend hiring Chris for all of your home improvement painting projects. Chris is punctual, reliable, trustworthy and an expert in his field. I am rather particular myself, and Chris's work is undoubtedly impeccable! Chris is personable, efficient and his work is of the utmost quality. Well worth the investment! We really lucked out hiring Chris for the work on our home. My husband and I were mostly away while the work was being done and so it took a lot of communication to work out what was needed. This is where Chris excels. He spent a lot of time sending messages and pictures and videos back and forth, which made me feel fully informed at every stage. I immediately realized that he had a good 'eye' and trusted him to do a great job. He knew intuitively what would work best in our space and it was a pleasure to come up with a plan together. The attention to detail and quality of the work was excellent. I couldn't be happier with the newly painted kitchen, walls and ceilings. The whole place feels lifted and finally feels lie it is ours! From the moment I met Chris I could tell he was easy going, willing to listen and give his professional opinion. I hired Chris the first time to paint the upstairs of my home then decided to update my kitchen. I am absolutely amazed by the transformation. All I can say “wow” and wonder if this is the same house. 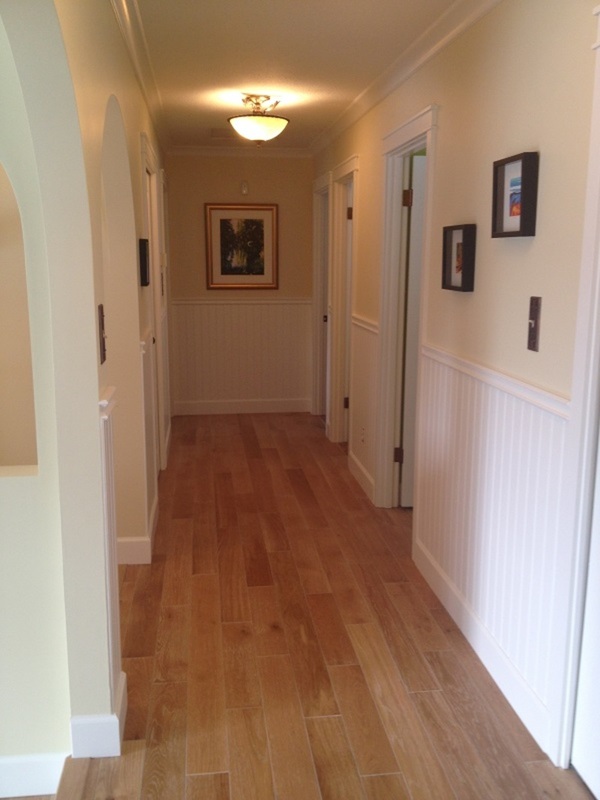 Chris is professional, meticulous with his workmanship and the end result truly shows. I highly recommend Chris for any project you have. 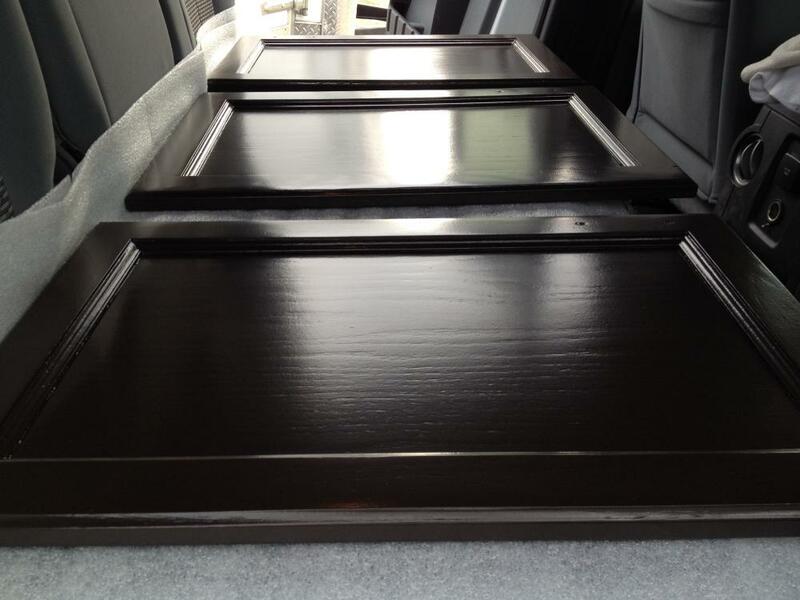 We appreciated the beautiful job Chris did restoring our kitchen cabinets. He managed to fit us in with short notice and stayed on budget. My kitchen looks brand new and 1/4 of the cost of new cabinets. i would recommend his work to anyone. Chris is amazing! Our 20 year old oak cabinets look like something out a magazine now! He is a perfectionist and no detail goes undone. His work is outstanding and you won't find anyone else who will do a better job. He was always there when he said he was going to be. Very professional, very thorough and always considerate. I am in love with my kitchen again!! Can not say enough good things about Chris and his work! Top notch! Highly recommend for jobs big and small! 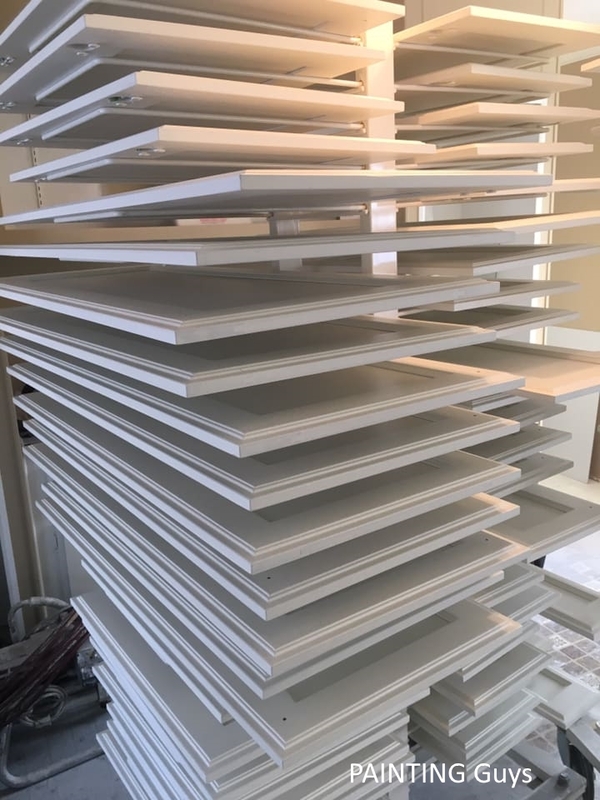 Upon reviewing the quote we received for new cabinetry and reassessing the waste we would create by tearing out the old cupboards, we decided to paint instead... Once complete, the cabinets looks identical to the ones we were going to purchase for thousands (and thousands) of dollars more! I decided to take Chris up on his offer to assist in the process to save money, and he was there for me every step of the way to ensure I did the work properly! Chris is a delight to work with- knowledgable, easy going, and his work exceeded all of my OCD needs! After 22 years, our lovely oak cabinets had become tired, worn and dated. Chris was recommended to us and, from start to finish, the work was done in a timely and professional manner. Painting our oak cabinets was a big decision (especially for my husband) but Chris took the time to answer our questions and explain the process. He is knowledgeable, meticulous and his pride of workmanship is evident down to the last detail. I'm very certain the words "good enough" do not exist in Chris' vocabulary. I have now taken pictures, sent emails to family and friends and paraded neighbours through the kitchen. Everyone agrees the cabinets look amazing, brand new and completely transformed. My husband is impressed and we're both grateful to Chris for bringing our cabinets and our kitchen back to life. We would definitely recommend him to anyone in need of a professional for their painting project. Thanks Chris. Chris repainted our old oak kitchen cabinets, and a new floor to ceiling pantry. Chris is the ultimate professional. He is skilled, honest, punctual, and knowledgeable. Chris did amazing work, and we are thrilled with the results. We would recommend Chris to anyone. We can't praise him enough. penney spent and more! Thank you for the fabulous job!! Thank you so much to Chris for painting our old dated kitchen cabinets! 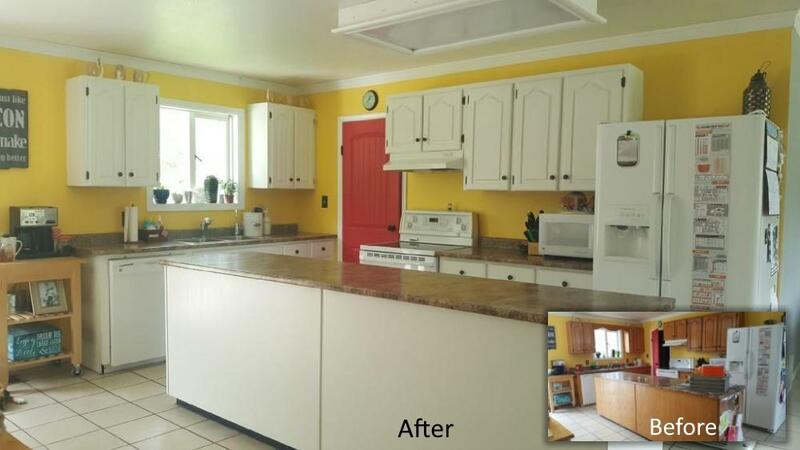 It completely transformed them and now our kitchen looks new and updated! Also it was a pleasure working with you. You have such an enthusiastic and friendly personality. I would recommend Chris to anyone considering a cosmetic update to any cabinetry! I recently had Chris into my home to update some outdated painting in a home I just purchased. From the initial introduction I could tell Chris was more than just a painter - he is a perfectionist. His initial quote included a vigorous review of touch-ups that he needed to do from the previous painter to ensure the end product reflected him and his company well. I was very comfortable leaving Chris in my home to work while I was not able to be there. The final product was outstanding and I will be having him back in my home for further work as I continue to complete the renovations. I would recommend him to anyone. 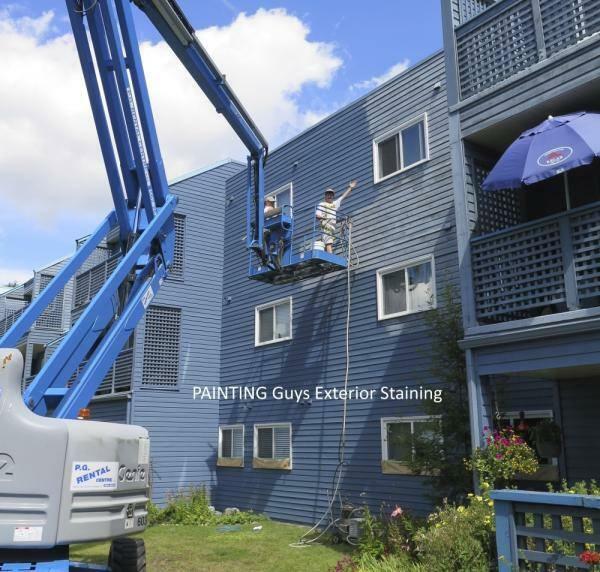 "Painting Guys and company were not only great people to work with, they did a great job in a timely manner. The painting was "first class", there was no damage to trees, plants or gardens and no mess left behind. Much appreciated Chris, thank-you! 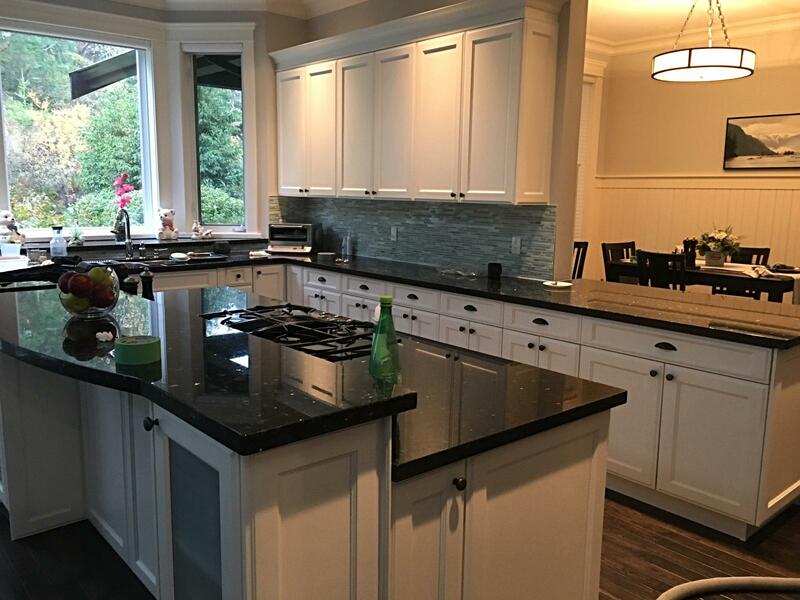 Kitchen cabinets refinished from outdated Oak to modern white. We recently had Chris come into our home and resurface and paint our rather extensive kitchen cabinets. He gave our outdated oak kitchen a brand new and refreshing look. We are so pleased with his work. He was very easy to work with and got the job completed exactly as scheduled. His work gave our kitchen a complete makeover and we couldn't be happier with how it turned out. Great job and we'd recommend Chris to anyone looking to have painting done. We contacted Chris to inquire on painting our kitchen cabinets. Chris responded promptly and provided us with a reasonable quote. Our cupboards were solid oak and in good shape but required to be refinished. The decision was made to go ahead and paint. He took the cabinet doors and drawer fronts to be painted at his shop. Meanwhile we had a carpenter close in the top of the cabinets to the ceiling and install crown mouldings. As promised, Chris returned to complete the painting of the cabinets and install the doors and drawer fronts. 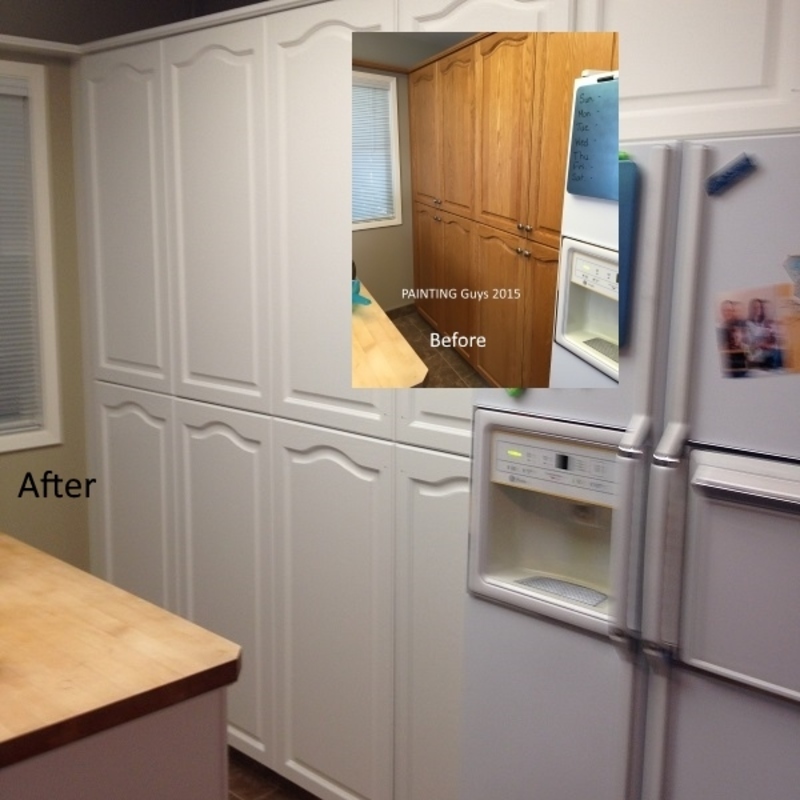 The results were amazing in modernizing our kitchen at a modest cost! Chris was professional, meticulous and a pleasure to deal with. We are very pleased to recommend Chris for any of your painting needs. 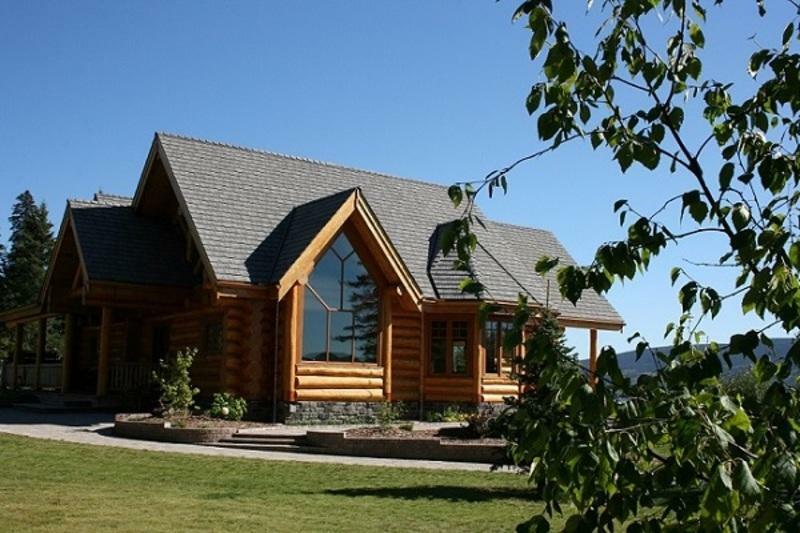 Chris provided the expertise and guidance that we needed in refinishing our log home. He is methodical and pays special attention to detail. We get great comments on our cabin since it has been redone. You should definitely consider Chris if you need an expert finisher. Remember - A cheap won't get you a satisfactory result; a fair price and Chris will. Couldn't be more pleased. Having decided to renovate our kitchen it was like, ok where do I start. I fortunately came across Chris and it went smoothly from there. I wanted to keep my kitchen cabinets as they are very sturdy, it's just that the fronts were looking tired. Chris said he could repainted them and they would look awesome. He was right. Having come home after the fronts had been reinstalled I couldn't believe how bright and fresh the cabinets looked. Now that the floors, counter tops and back splash are finished he is going to paint our kitchen walls making our new kitchen complete. Thank you Chris for all your help. Chris did a fantastic job painting our cabinets. Very professpional job the kitchen looks great and I have no compaints with time it took or the quality of work. Always on time and completed the job in full. Thanks Chris for the great job. 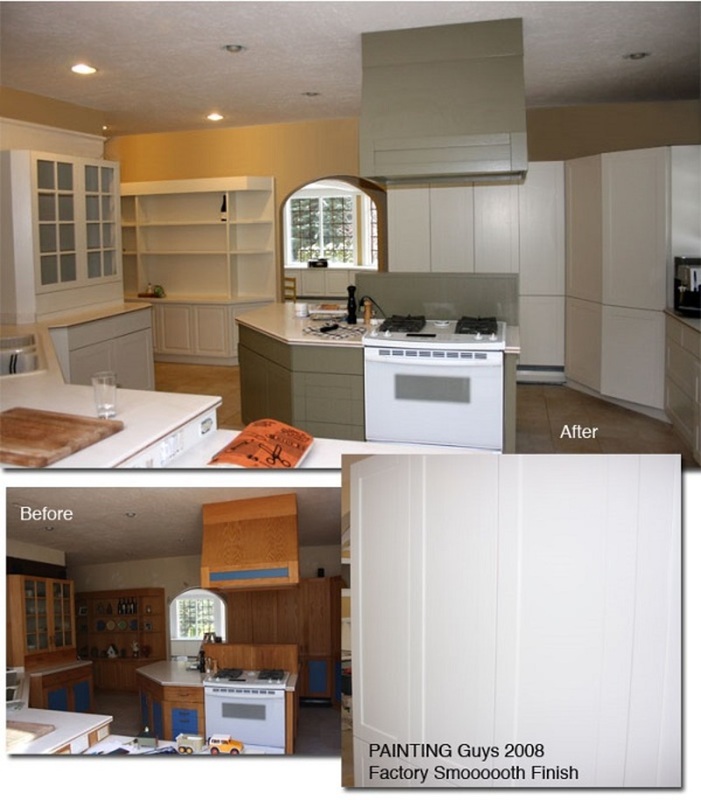 We were planning a kitchen reno and our kitchen cabinets needed to be resurfaced, replaced or repainted. My husband was skeptical about painting them as he thought they would look tacky and not show any of the wood grain. We called Chris and he was wonderful. He did a sample for us so we would be able to make an informed decision about whether we wanted to go ahead with painting them or not. The sample looked great and we went ahead. The end product is amazing! We went with espresso cabinets and are so pleased with them. The turn around time was exceptional. Four days after Chris picked them up they were back. Chris is a friendly, knowledgeable, professional who takes great pride in his work. We would highly recommend Chris and would hire him again in a second. The skeptical husband is a believer!! Thank you Chris! We hired Chris to paint a few of the offices in our building. He came and gave us a reasonable quote and was very helpful in colour selection to compliment our current colour scheme. Overall we were very impressed by the quality of the work and professionalism shown by Chris. The job was done very quickly and he was willing to work around our busy schedule. We intend to contract him again for other painting projects. He gets a high rating from us! 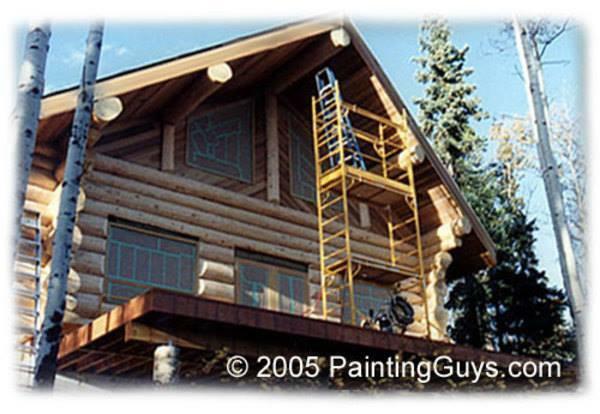 Submitted by Doug & Gayle Kroetsch on Sun, 11/22/2015 - 13:10 Sitting around a campfire this summer talking about renovations was how I got connected to Painting Guy and what a find. I contacted Chris who responded in a very timely manner came and gave us an estimate the rest is history. The kitchen cabinets look like brand new cabinets we are so pleased. Thank-you so much Chris for an excellent job well done. Submitted by Mark and Gail Shegelski on Thu, 09/10/2015 - 12:21 Chris did excellent work for us. He is a very honest man. He could have painted more doors for us but told us that even though he was talking himself out of work, our doors did not require to be painted. His honesty will be rewarded. This is the first time to have Chris doing our painting, but the next time we need more work done, we will be calling upon Chris to help us. He is a true professional who takes pride in his work, who is also very personable and very easy to work with. Thank you, Chris, for a job well done. We have worked with Chris twice now, in 2014 for the painting of our basement, and then in summer 2015 for the painting of our kitchen cabinetry and island. We had a kitchen that was renovated in the mid-1990's with beautiful oak cabinetry that has now become quite dated. We went with a clean white for a contemporary modern upgrade and could not be happier with the results. The cabinets look brand new, for a fraction of the cost of gutting our kitchen. Chris's attention to detail and quality of workmanship is second to none. We absolutely would recommend him. 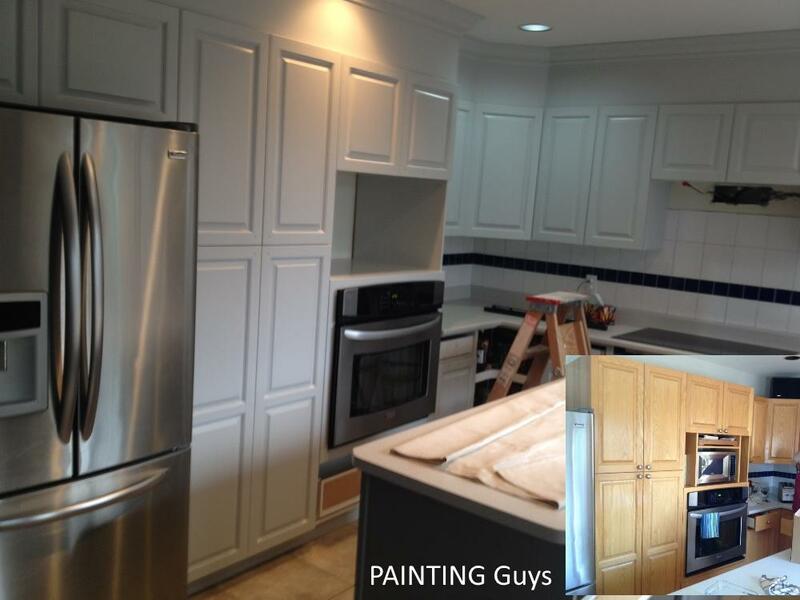 Submitted by Dan - Posted: Sat, 07/18/2015 - 22:32 Chris did great work painting our oak cabinets, it was done fast and he even lent some help with how to paint the rest ourselves, would recommend to anyone. They look brand new, we love them! Chris is the consummate professional painter. Quality and workmanship are the words I would use to describe his work. Submitted by Kopar Administration Ltd Posted: 2012-05-18 09:21:51 Just want to thank you Chris for the fantastic job you did on our office under rather trying circumstances. Superlative job !! Submitted by Susan Lodge Posted: 2011-12-14 14:48:03 What a great experience! Chris is not only a meticulous master craftsman, he is at his core an artist. His eye for color and design and his attention to detail made what could have been a tedious renovation project into a creative process of breathing new life into our home. I love the result! Submitted by Rod Endel Posted: 2011-10-12 18:47:50 If you are looking for a painter to do brush work and detailing, look no further than Chris. He has the best steady hand around and is really, really good at it....bar none! Very highly recommended for all your painting needs....! Submitted by Beth & Brian Hillhouse Posted: 2011-10-11 11:48:40 Chris is an outstanding painter. His work is top quality. He painted our 20 foot ceiling and walls in the living room using his scaffolding. He painted door moulding, baseboards, a bathroom, 2 bedrooms, our kitchen, playroom walls and ceiling, front door, storage room floors and he even tackled our media room painting an entire wall with screen paint. He did all this while we were living in the house. More than the quality of his work, I appreciated his integrity. He respected our home and our family, he was friendly and polite. He was reliable, always doing what he said he'd do. He has good communication skills, keeping in touch with us about his plan and talking with his to solve problems. Someone once said: "Wisdom is knowing what to do next; virtue is doing it." Chris showed virtue in his work and in his character. I will definitely hire him again. Submitted by Corinne & Cary Gobbett Posted: 2010-12-10 13:52:56 Thanks for doing an awesome job on our bathrooms and laundry room, Chris. They look great! You're definitely our man for all future work! C. & C.
Submitted by Marnie Pole Posted: 2010-08-24 08:11:35 Our family has been building our log home in northwestern BC for the past several years. The year we put up our log walls was a very wet one, and by the time we had our roof on, our logs were very discoloured and stained. I contacted Chris seeking advice, as we wanted to do the work ourselves. Chris spent a great deal of time with me on the phone carefully explaining the equipment I would need and how to use it. Our home is now finished and we are happily moved in. We are very grateful for the time, advice and encouragement Chris gave to us. It was a huge job. Had we been closer, we would have definitely considered hiring Chris. Thank you!! Submitted by Felicia Lanji, Retail Store Development, Glentel Inc. Posted: 2010-08-19 09:56:18 Working with Chris was a delight. He is conscientious, courteous and professional. I appreciated his candid advice on what will be needed and made planning this project remotely from Vancouver much easier. I have to say as a corporate client I was very pleased and will definitely look to Painting Guys for any future projects I can include them in. Submitted by Robert & Wendy Hillhouse Posted: 2010-07-31 15:33:02 I am thoroughly amazed with the quality of Chris' work. He can meet timelines, not make a mess and transform any wall into a work of art. I would highly recommend Chris to anyone who wants an excellent job done. Dave & Ro Bennett Posted: 2010-05-20 18:49:58 Chris turned my whole house with nothing but white walls into a "house of rainbows". Changing all the colors would have really shown the previous poor workmanship being the house is over 40 years old but with Chris' expertise he knew exactly what prep work was required to avoid any surprises prior to doing the work he was actually hired to do. Chris had no problem in completing the job and even finished ahead of the estimated date he had provided. He is very meticulous and painted my entire home as if it was his own and did not leave a flaw behind. I am very thankful for some of the suggestions Chris offered, as I now know that it would not have turned out as beautiful as it did if I would have not followed through with his opinion. I would highly recommend Chris for any project big or small; he is very talented, trustworthy, and exceptionally knowledgeable. Thanks Chris, Excellent Job!!! I love my "new" home. paint what was a real fixer-upper. 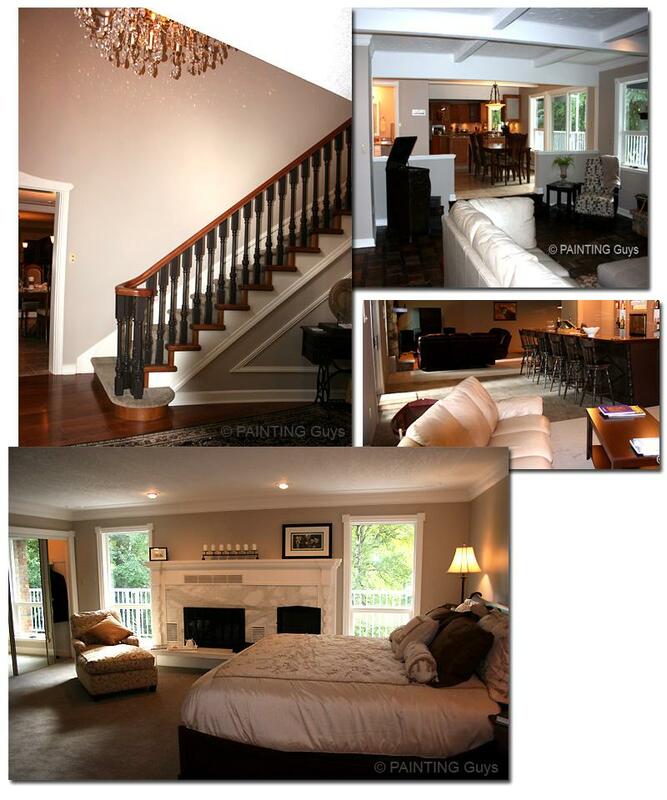 Al Sahlen Posted: 2009-08-26 09:44:40 I hired Chris back in January to paint what was a real fixer-upper. The home looks absolutely stunning and every time I walk in, I stop and take a good look. Thanks Chris, for the awesome work. irene peters & darrell o'byrne Posted: 2009-06-12 07:55:59 We have had Chis do our last two complete paint jobs-one in a condominium and one in a 60s rancher style house. This work spanned a period of 3 1/2 years so he has been in our home a lot. In each set of circumstances he has had to work with a number of other trades people and often had to co-ordinate time and share space. He was very efficient, capable and incredibly patient in these circumstances. His work is impeccable and he is very imaginative and flexible in terms of finding solutions to problems. We would not consider anyone else for any painting job in the future and we feel very comfortable recommending him to our friends and associates because of his highly professional approach and ability. We bought a home that had a tremendous amount of woodwork, some of which was in great condition and remains as a warm accent, but most of which was stained, dark, and a bit dreary. We consulted with Chris, and he helped us decide what could be done, and gave us an honest assessment of the cost associated. Chris is more expensive than other painters, but he is absolutely worth it. We are thrilled we retained him, and so proud of the final result that we achieved only with his help. Though every room he worked on was transformed beautifully, perhaps the biggest impact was in our kitchen. Our kitchen layout is great, and the cabinets were a nice design, but they were a faded pine, with coloured inserts. Chris, with his signature technique and skill, painted them so that they look factory perfect. This effort alone has added significant value to our home. Chris is an interesting, intelligent, and thoughtful person, and is a pleasure to have working in your home. In the month and a half he worked with us we came to feel like he was part of the family! Chris, we are grateful for you! Shaun & Sheri. Posted: 2008-11-03 18:13:16 Simply put, Chris does an incredible job. You can tell he is a craftsman who loves his trade. He is a positive, high energy individual who pays meticulous attention to detail. Chris painted the entire interior of our house: walls, doors, window and door trim, and did all caulking after a horrendous paint job from another painting company. His lines are laser straight - they're simply second to none. Caulking is something often overlooked when painting - unfortunately it can run a good paint job if done incorrectly. The paint and caulking applied three years ago looks as good today as it did when it was first applied. The real measure of how well a professional does if you make referrals and if you would use the individual again. We've refereed others to Chris and he's coming back to our house to paint the basement after some recent water damage. 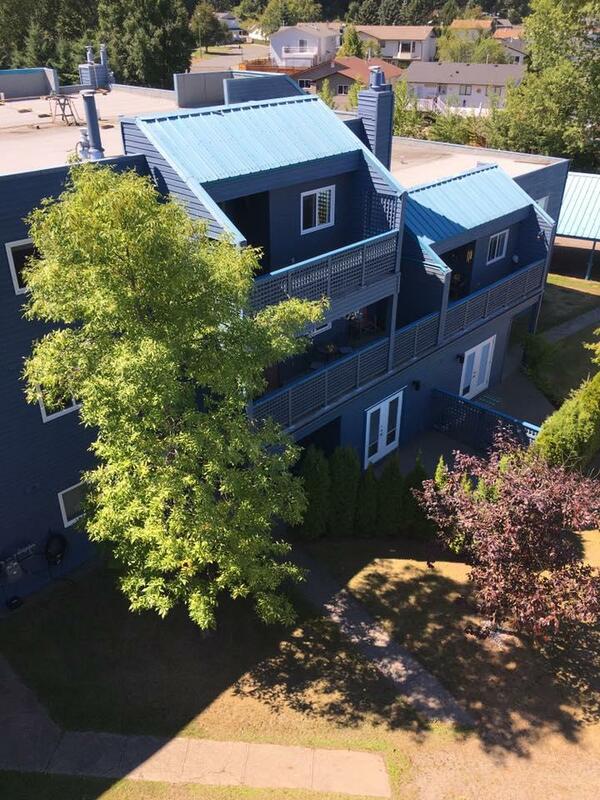 If you are looking for someone who will take the time to do things right, who is up front and honest about what it will take to do the job, has an eye for colours, uses only quality products (for good reason), and are willing to wait for the best painter in town Chris is the individual you want to hire. Thank you Chris. Greg MacKay Posted: 2006-12-21 14:46:04 In the fall of 2005, I embarked on an extremely large and complex renovation project (still ongoing); a 10,000 square foot home built in the 1970''s and in need of a complete remodel, top to bottom. Many trades people were interviewed and I was quite selective in whom was chosen for the interior paint and refinishing of this home, due to high expectations of this project. Chris professionally assessed the requirements of the interior painting and refinishing; he impressed me with his methodical planning and careful attention to detail in strategizing how he was to handle such a large project. His selection of the highest quality refinishing products, along with his vast experience, resulted in an incredible restoration of my home''s interior finish to a state in which it is far better than new. My hat is off to Chris, and I absolutely recommend him for projects requiring the highest possible level of quality, and true craftsmanship. Dan Kump Posted: 2006-10-03 13:06:46 When we were in the market for a painter, we wanted someone who took pride in their work and delivered a quality product. Chris was recommended to us by an interior designer. As Chris was painting, I soon noticed that he did things very carefully, was very precise, took his time and didn't rush, is very organized, and is very knowledgeable about painting. Having a busy schedule, he could easily have sped things up, cut corners, and rushed out of our house to get to his next job. But he didn't. This says a lot about Chris's integrity and honesty. Chris and I also became good friends. The final product is awesome - no missed areas, no roller lines or brush lines, no over-painting ie. corners and borders are perfect. I highly recommend Chris for your painting needs. Ted Perry Posted: 2006-07-08 12:19:08 Earlier this year, we purchased a 9 year old home which was badly in need of a paint job. Chris ( the Painting Guys) was recommended to me by a local interior decorator. While we were away on vacation, Chris painted the entire home. Upon our return, we were thrilled to find a thorough, professional paint job in the new colours we had selected and without so much as a speck of spilled paint anywhere. My wife and I are completely satisfied and have no hesitance in recommending Painting Guys to anyone who is looking for a professional paint job. Chris also painted an extra bathroom in the basement which had not been included in the original quote. He is a true craftsman indeed. I would like to take this opportunity to thank you Chris. You came into a situation that was not so pleasant and made things right. Your workmanship and your professionalism are second to none. Both my wife and I were very leery after the first painter we hired. Your attention to detail and site preparation put us at ease. I have already recommended Chris to others and I will continue to. 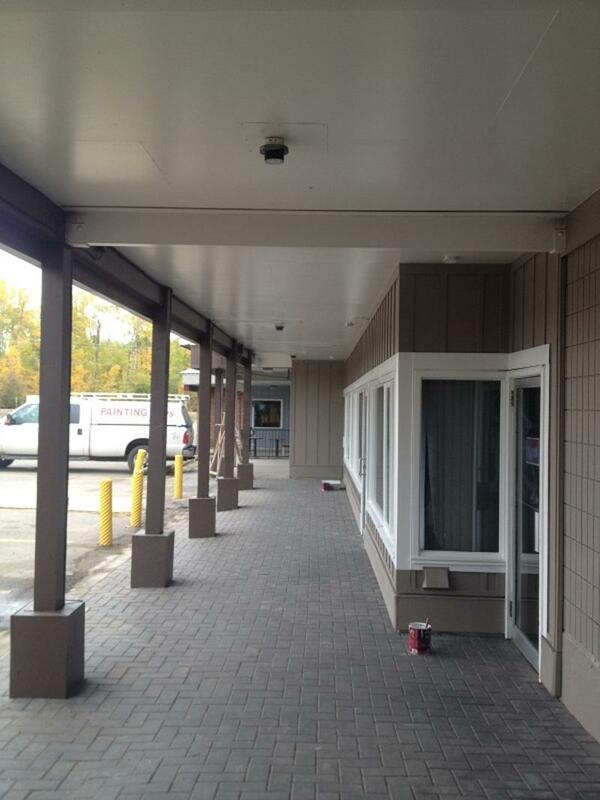 We will be in need of more painting in the near future and we will not hesitate to call Chris to do the job. I cannot tell you enough how it was a great opportunity meeting you and working with you. The most important thing that stood out with Chris' was his INCREDIBLE work ethic. He is incredibly meticulous and goes above and beyond all other painters that I have spoken to and worked with in the past. He speaks of painting with so much passion and pride. It is very rare to meet individuals who are so driven to exceed his customers' expectations. He pays so much attention to detail and is more than willing to explain these details to his customers. With this knowledge, you learn to better appreciate his work and compare his "high quality" painting job to others. Not only is Chris a top notch painter, he is also a terrific person! He is one of the most genuine & nicest individuals I have ever met. When my fiancee and I purchase our next home, Chris is certainly to be the first and only person I would consider for the job. He is the best at what he does, hands down! amazing work ethic, the painted cupboards look beautiful! I'm so glad I chose you to paint my place! You were definitely the most detail conscious painter I've ever hired. Actually, the word painter seems like the wrong descriptive... you're more of an artist. Thank you for going way beyond what your quote included. Even though the baseboards weren't supposed to be painted, thank you for your final act of service when you said, "Lori, if you run the vacuum around the edge of the floor, I'll do the baseboards for you!" That's a perfect example of your amazing work ethic and your pride in a job well done. Most painters would never go that extra mile. And the bathroom wall where I tore off the shelving unit looks pristine and the painted cupboards look beautiful. Again, you went way beyond what we agreed upon. Thank you, thank you. I'm sure you've increased the value of my home immensely. Plus, you were just fun to have around. I hope you're in the business a long time... I'd love to hire you for my next house! Chris has just completed the interior painting of our home. His commitment to excellence is the sign of a true professional. His colour sense was very helpful and he takes great pride in his workmanship which has resulted in a beautifully finished job. We can recommend Chris without any reservations. Chris was extremely helpful in selecting appropriate colours and an excellent quality paint at Contours, our fitness centre. We are so proud of the end product! Chris did a meticulous job and sparked great feedback from our members. We highly recommend The PAINTING Guys and look forward to future jobs on our home! there was no paint splashed on cupboards or floors; the various colours and designs requested by our daughters for their rooms were brushed and rolled like an artist. You offered wonderful painting/colour/paint brand suggestions, without being too pushy. You were consistently punctual and delivered what you promised! What more can we say - You are a real pro with a pleasant personality and an accommodating smile! We will be calling you again and will highly recommend you to others! Already people have asked us, "Who did your excellent paint job?" Brief description of what the PAINTING Guy did for you?